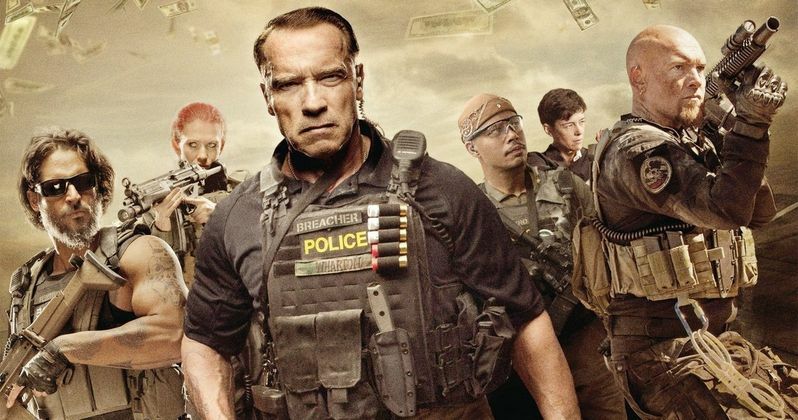 Arnold Schwarzenegger stars in the action thriller Sabotage as the head of an elite DEA task force assigned to take on some of the most vicious drug cartels in the world. The group raids a cartel safe house with seemingly successful results, but then the agents begin to mysteriously die off, one-by-one, and seemingly anyone could be responsible. We went deep into the production of this brutal, very visceral and bloody experience with the cast and crew. Watch as Ryan J. Downey sits down for select exclusive interviews with action legend Arnold Schwarzenegger and his team, including co-stars Joe Manganiello and Josh Holloway, as well as director David Ayer.